American Crossroads and its affiliate, Crossroads GPS, aired tens of millions of dollars worth of television ads aimed at defeating President Barack Obama as well as wresting control of the Senate from Democrats by going after incumbents and challengers in key races. The two groups exceeded their fund-raising goal of $300 million for this election cycle. Among those on the call was broadcast executive Stanley Hubbard, who refused to discuss what was said during it except to say "it was very friendly. I didn't hear any negative feedback or comments." The Sunlight Foundation, a non-profit organization which tracks the influence of money on politics and works to make government more transparent, released an analysis Thursday questioning the effectiveness of American Crossroads and Crossroads GPS this campaign. Using available data, the Sunlight Foundation said of the $103.5 million American Crossroads spent in the general election, 1.29% of it ended in the desired result. None of the candidates American Crossroads supported won, and most of the candidates it opposed were victorious. Crossroads GPS, which does not have to disclose its donors, spent $70 million during the general election with 14.4% of it having the result it wanted, according to Sunlight Foundation's analysis. In the key Senate races in which it ran ads, Nevada Democratic Rep. Shelley Berkley's defeat was the one success it had. Obama's defeat and the Republicans gaining control of the Senate were major aims for these groups and their contributors - and neither one was accomplished. Following Election Day, officials from Crossroads have worked to soothe the concerns of large and small donors through phone calls and other communications. "Donors have questions globally about what worked and didn't, and while all are disappointed with Tuesday's results, most have expressed a strong interest in our continuity and support for new efforts in 2014," American Crossroads spokesman Jonathan Collegio told CNN. Democrats, who at the start of the campaign were worried they would be far out-spent by Republican super PACs and other independent groups, have been eager to raise questions about their record following the election. For its part, Crossroads officials said they still had a major impact and kept Republicans competitive. "Democrats leveraged their incumbency to dramatically out-raise and outspend their Republican opponents this cycle, and Republican outside groups balanced that spending out to keep this a two point race all the way to the end," Collegio said. 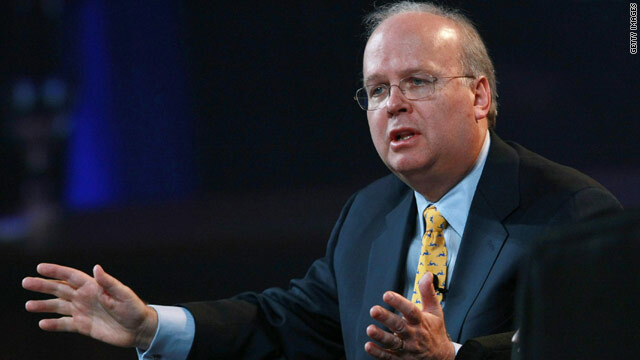 Rove also defended the super PACs' effectiveness. He pointed out in an interview with Fox News, where he is a political analyst, that American Crossroads was quicker to come to Mitt Romney's defense when the attacks on his business career first began. "The first group to respond to the attacks on Bain, on Bain Capital, were not the Romney campaign. It was American Crossroads with an ad in July," Rove said. One major Republican fund-raiser, who was not involved with the major super PACs and related groups involved in the presidential campaign this year, and who requested anonymity to speak freely, told CNN "you have to look at how effectively" the groups operated. The fundraiser said if he were a donor to a Republican super PAC, "I'd question the return on their investment." As to whether he thinks his donations were a waste, Stanley Hubbard told CNN "I think when you are helping in the democratic process it is never a waste." With the election now over, American Crossroads is preparing to engage in the next battle to hit Washington: what to do about the fiscal cliff of major spending cuts and expiration of the Bush-era tax cuts that will hit at the end of the year unless there is action by Congress and the president. Republican outside groups spent twice what Mitt Romney did on advertising in battleground states this campaign - $411 million to $180 million. Tax the greedy billionaires,now! Throw the Tea Party out! Continue to lose. Take some advise and look in the mirror...CHANGE THE MAKE-UP ON YOUR FACES. Explained....quit being bullies. You will always lose when you are bullies. Rove, Limbaugh, Coulter, HANNITY. Start being nice, you will start winning. I am happy to let all the rich republican donors cry after their money. All that money went into the economy. All those rich rebublicans would not have spend a cent on anything else. Lets hope the money helped to create some jobs. Hurray for the American economy!!!!!!!!! Ohh No. This looks like "Damage Control" to me. I guess after Karl Rove had his melt down on False Noise, his second order of business was to explain to all his Billionaire Donors of his Super-PAC "Crossroads" why they received a 1% return on $300 million dollars spent. Karl Rove has a lot of explaining to do to his donors and the faux channel people who live in a bubble and trusted him when he made Romney will win prediction.As far as the majority of people are concerned he is now irrelevant and lonley human being. Best waste of money ever. Keep throwing your money away on fatally flawed candidates, right-wingers. Your money will buy you nothing but pocket space. Hey Karl, try less money and more truth in advertising! If your message is right, then the people will follow. Karl and his minions are to use to buying influence. After making a fool of himself Tuesday night on Fox News, isn't it time Karl Rove left the national stage? Karl Rove should be ran out of town and taking Grover Norquist with Him. Time to repeal "Citizens United" and make a even playing field with less spent. Majority of Republican money spent came from a few very rich individuals. Marjority of Democratic money spent came from average people giving small donations. I love you President Obama! Your heart is in the rightk place. Thank you for displaying compassion! The American people pimp slapped them again. They will never learn. LOL. We were not watching faux news on election night, of course, but even that blonde questioned him on what he thought the numbers were. i still wonder why they were so sure that Ohio would go to the twit. After all that husted did to keep voters who are not rethugs from voting you have to wonder I wouldn't put anything past these people because they have shown that they would sell their own mothers and children to win. $300M???????????????? The election can't be bought and maybe they finally learned (I doubt it) that we LIKE the President and we believe in him. FORWARD!!!!!!!!!!!!!!!!!!!! Start getting on your knees and crawling, Karl, your corporate masters are unhappy because you could not distort reality enough to deliver the goods. "Bush's Brain" is addled, apparently. On the other hand, he got richer off the gullible conservative billionaires.